AutumnFest at Bi-Water Farm is an annual tradition for my family and is a great place for all ages. I’ve been attending since 2000 when I took my first trip with the 1st and 2nd graders I was teaching. 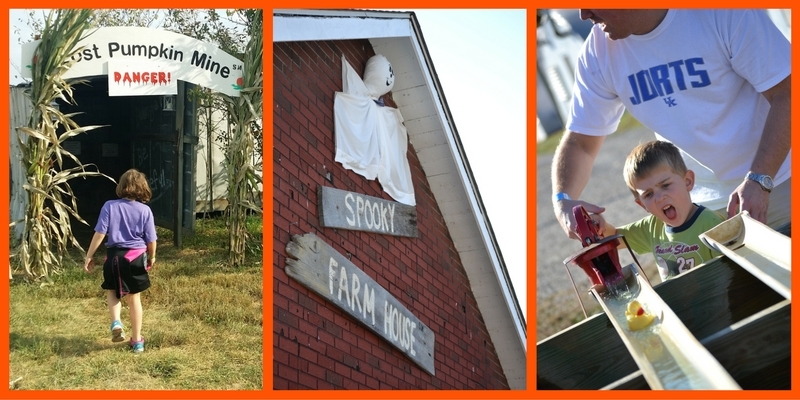 Pumpkins, hayrides, a great little kid spooky house, baby animals, a giant slide, play areas, train ride, mini golf, and MORE! The kids had a blast and so did I! Check out the Lex Fun 4 Kids Review and plan your fun!! 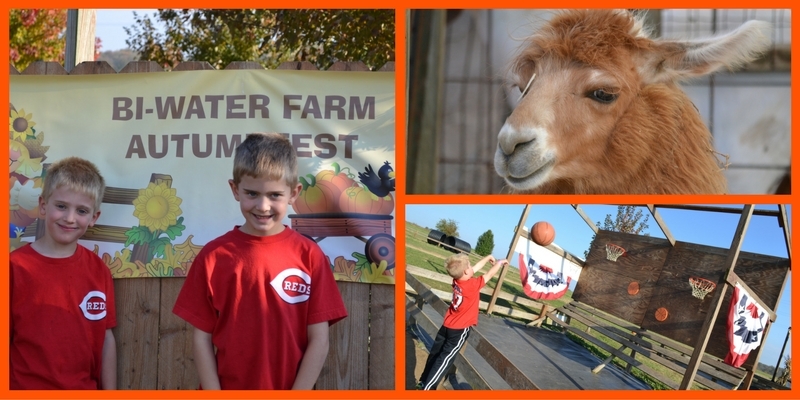 Bi-Water farm, fall festivals are open 7 days a week. Conveniently located in Georgetown Kentucky. General Admission. $10 plus sales tax. 2 years and younger are free. Click here for season passes! Allows all day access and as many visits as you wish to all of the following Adventures. Extras!! SAVE when you buy a ticket combos! 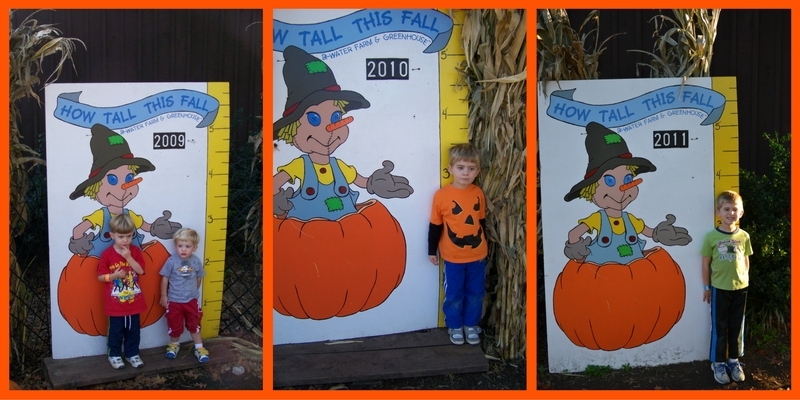 Hayrides, Spooky FarmHouse, Enchanted Barnyard, Pirates Cove, Trike Track, Barnyard Babies, Lost Pumpkin Mine, li’l Pumpkin Play Patch, The Bird House, Bunnyville, Cowboy Corral, Billy Goat Mountain, 5 Acre Corn Maze, Sky High Slide, People Spinners, Bi-Water Ball Park, Pumpkin Vine Zip Lines, Bounce Around Corral, Chutes & Slides. Click HERE for all the info on the attractions! There is an additional cost if you wish to add the following items. Save when you purchase one of the ticket combos! AutumnFest Express – Our train takes you on a ride around Elkhorn Creek, sharing the story of the creek while you enjoy music. $3.50 with general admission ticket. SAVE when you buy one of our ticket combos! Dinosaur Dig – New for 2018!! $2.00 with general admission ticket. SAVE when you buy one of our ticket combos! Paintball – Test your skills as a sharpshooter to see how well you can hit the targets. $3.50 with general admission ticket. SAVE when you buy one of our ticket combos! Pumpkin Cannon – New for 2018!! $5.00 with general admission ticket. SAVE when you buy one of our ticket combos! Miniature Golf – It may not be the Masters Championship, but it sure is fun for the whole family. Can you make a hole in one? $2.00 with general admission ticket. SAVE when you buy one of our ticket combos! 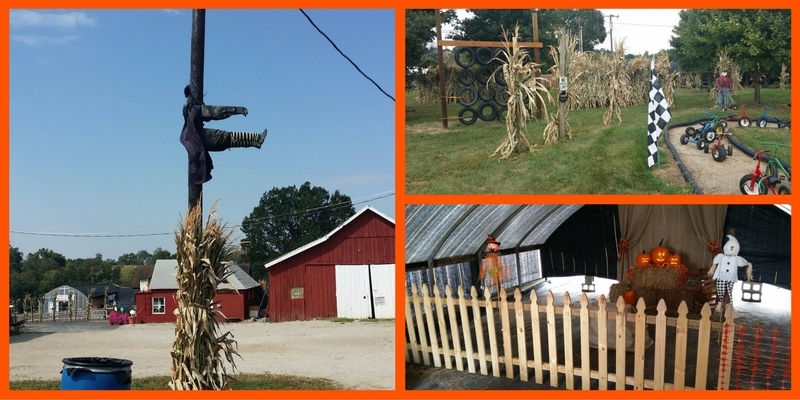 Opening day of AutumnFest was a great time to visit Bi-Water Farm! It was my family’s first visit to Georgetown and I’m so glad we made the trip north of Lexington. Being here for 9 years, I’ve always just gone to whatever is closest and assumed that all of the farms were the same. After spending the day at Bi-Water Farm I can say that not all farms are created equally! Bi-Water is not only full of family fun, but it has beautiful scenery to enjoy as well. The play areas are amazing! I can’t even name them all because there were so many. My school aged kids loved every minute of it. There were sports stations, rolling tubes, zip lines, playground type equipment in multiple locations, a couple of digging areas, and more. There were a few different entertainment areas like singing pumpkins, a haunted house and a pumpkin mine which you could walk through. These were particularly impressive with music, lights, moving parts as we walked through the buildings. All of these things could keep you entertained all day, but if you wanted to add on to the fun, you can purchase extras like the train ride, mini golf and paintball. Even walking between featured areas, there were little things to keep us entertained; like jokes to lift up and read and a “Ducky Derby”, even some singing pumpkins! But if we were feeling lazy we could hop on the hay ride easily and as often as we wanted. The hay ride is included with admission. As a family, we tried, and failed, to complete the corn maze. It is really easy to get turned around in there! It’s quite a great challenge and we had a lot of family laughs going in circles! We took the hay ride to get back there – all the way in the back. There was another smaller corn maze for school kids who could take field trips there too. It was such a big farm; we were just so impressed with it all! The biggest draw of Bi-Water Farm to me was a family feeling that they spread to the customers. I didn’t feel like a customer or consumer, but more like family visiting. From the friendly greeting at the ticket booth, to the food station, to the workers driving by and waving, we felt at home and welcome on the farm. Not once did I feel like I was being pressured into buying anything outside of the admission ticket, or like they were trying to get me in and out through the farm to make room for the next visitor. I was free to explore as long as I wanted, and there was so much space that I could move around easily. You’ll get thirsty moving around and the apple cider is amazing! It’s a bargain too for the big cups they give you! They have a food stand with lots of great options if you work up an appetite while visiting. There is also a very cute store where you can shop for reasonably priced items to bring home with you to remember your fun day. Throughout the day, my entire family said that this was the best farm we’ve ever visited. We can’t wait to go back again! Maddy, age 7, said her favorite part was “all of it, but if I have to choose, I’d pick the ziplines.” Lucy, age 5, said her favorite part was “the singing pumpkins because they were so cool, even though I was afraid at first.” Best part about leaving – dinner on the way home was discounted with our wrist bands; Culver’s gives you $1 off meals to save even more! We’ll be back soon! Thanks for the memories! 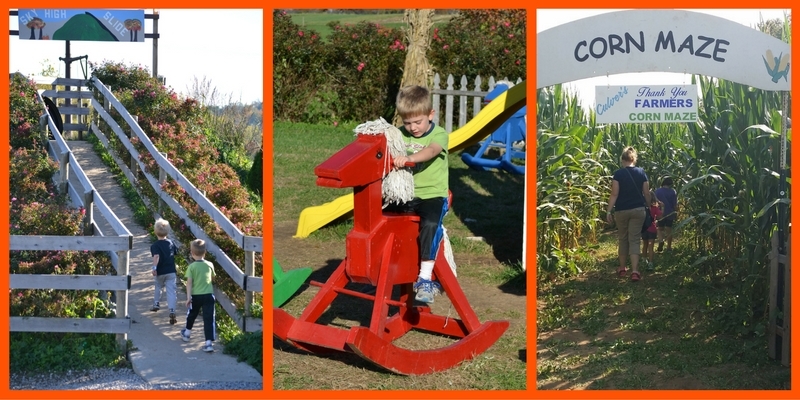 Enter to win a Family 4 Pack of passes to Bi-Water Farm in Georgetown! Ends Sunday, October 21, 2018 at Midnight.